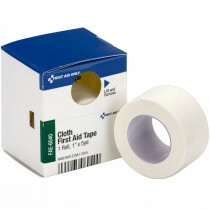 Keep your dressings gauze pads, securing in place with our First Aid Tape spools. 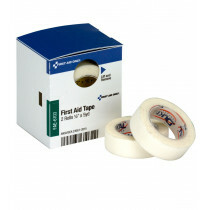 These hard working and easy to use tape spools feature a strong adhesive to hold your bandages, dressings or any other type of medical pad in place. These can tear without shredding and can mold to the body's contours. 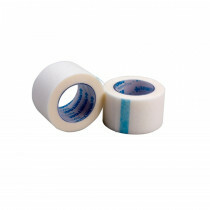 The spools are designed to make cutting and measuring the tape easy. Unitized and SmartTabs ezRfills are available. 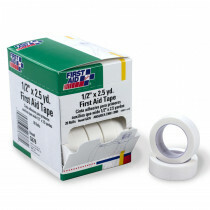 The perfect first aid tape spools for the job! 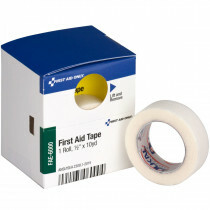 First Aid Tape has a multitude of uses both in and out of the medical field. 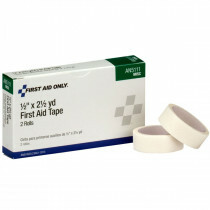 This includes the obvious first aid use, but also for sealing and connecting outdoor items and repairing water-intensive products. 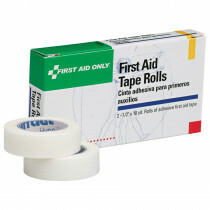 It can also be used in sports, such as football, to tape ankles or wrists for more support. 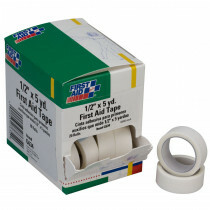 It may not be on the level of duct tape, but definitely is a useful product outside of just securing bandages and dressings!